Nevada will be home to Faraday Future's manufacturing facility. The EV startup, backed by Chinese billionaire Jia Yueting, says it will invest $1 billion in a factory in North Las Vegas. 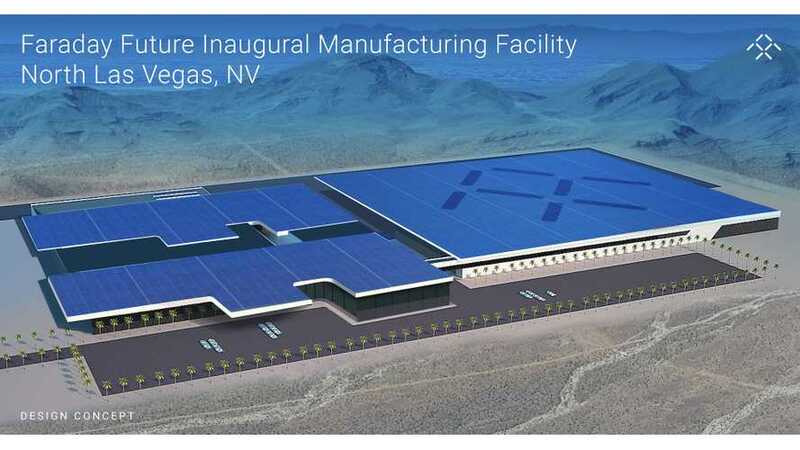 The facility covers some 900 acres and 3 million square feet of working space in North Las Vegas' APEX industrial park, of which Faraday Future says is "a thriving new environmentally-conscious development zone". Las Vegas is also the place where FF will show its concept car at CES. The production version is expected on the market in 2017. "Though automakers have struggled to find profits with electric models, Faraday has said it aims to make money not just on the vehicles but on subscriptions for applications and infotainment piped into the car. The company plans to introduce its first car in 2017, after unveiling a concept next month at the CES electronics show in Las Vegas. Yueting is founder and chairman of Leshi Television, a Chinese online video site." Update. 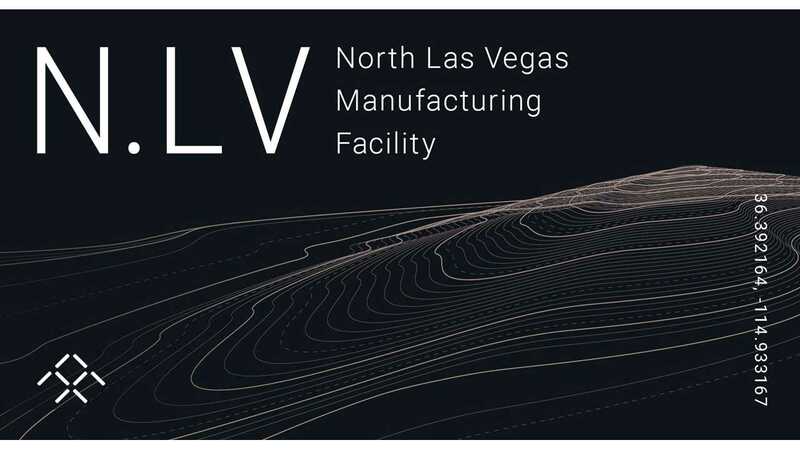 Faraday Future released its official statement on North Las Vegas factory with infographic (PDF), showing intention to employ 4,500 people, 80% of which will be involved in actual production of EVs - with 50% of those being local hires. "We at Faraday Future are thrilled to announce that we’re planning to launch a brand new, state-of-the-art automotive production plant in the very near future. After a great deal of research, travel, and careful consideration, we have decided that the best home for our first manufacturing facility would be within the stunning mountainscape of North Las Vegas. North Las Vegas’ long list of benefits made the decision for our plant’s placement a relatively easy one. The area offers expansive development space, an enthusiastic workforce, an encouraging tax environment, close proximity to our California headquarters, and nearby access to the thriving tourism capital of Las Vegas, which allows us to offer plant tours and other engaging experiences. Additionally, we’ll be appropriately positioned on the south end of the “electric highway,” a pioneering stretch of U.S. Route 95 between Reno and Las Vegas that is populated with a large network of vehicle charging stations. Now that we’ve found the perfect place for this groundbreaking new factory, we are excited to get construction underway. Faraday Future is ready to invest $1 billion into the first phase of this facility, to-be-built in Clark County’s APEX Industrial Park, a prosperous new development zone offering amenities perfect for environmentally-conscious companies. We plan to construct something more than an ordinary 'assembly line’ – we’re creating a 3 million square foot workshop for passionate creators and diligent visionaries, where new concepts will be refined and implemented; where new discoveries will be conjured and crafted; and where new possibilities can be made, well, possible. After we get this manufacturing plant up and running, we will be directly staffing it with 4,500 new jobs. These positions will include a wide variety of professional and manufacturing employment opportunities, offering competitive pay and benefits. Outside of the jobs that Faraday Future will be hiring directly, thousands more will be made available from our supplier base and other independent enterprises that will move into Nevada to better support our facility. We look forward to having a hand in the potential job creation, economic impact, and community growth that can be made possible with this innovative new production plant. We'd be proud to play our own role in advancing Nevada’s historically industrious spirit. A car is much more than a singular product – it is a complex union of unique, specialized parts, all working in tandem towards a common goal: to keep moving forward. We at Faraday Future can’t wait to embrace the same collaborative vision when working hand-in-hand with the driven community of Clark County to create a more connected world and a more dynamic North Las Vegas."